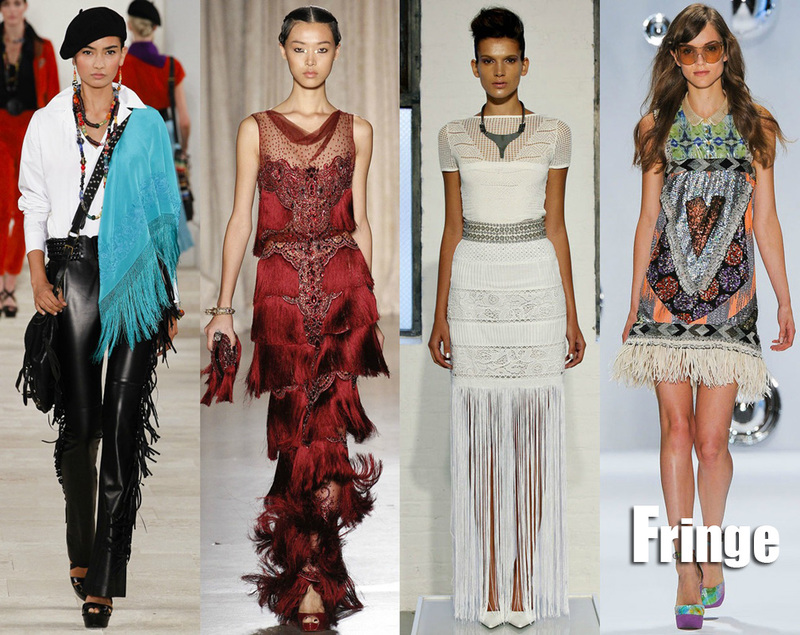 Gone are the days when only cowboys, flappers, and Pocahontas could rock fringe. Celebrities like Fergie, Jennifer Garner, Kourtney n Kim Kardashian etc, have been spotted all glammed up in fringe on red carpets and running the streets with casual fringe accessories. Fringe is in! There's a certain feeling one gets when wearing fringe. 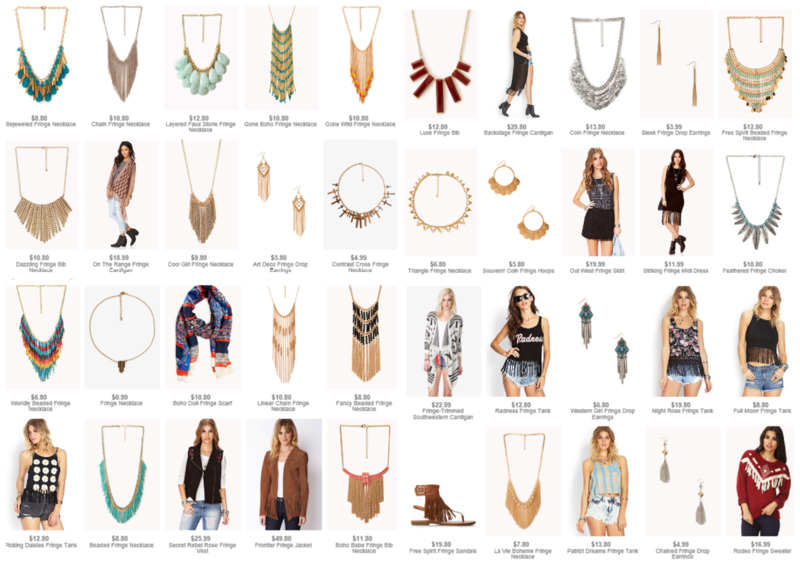 It feels like you're playing dress up. Fringe — it's everywhere! Swingy fringe is making a huge comeback. Of course, the trend never really goes away for long. Michael Kors showed beautiful delicate print chiffon peasant dresses during the New York Fashion Week. Indeed, the '70s boho princess lives! 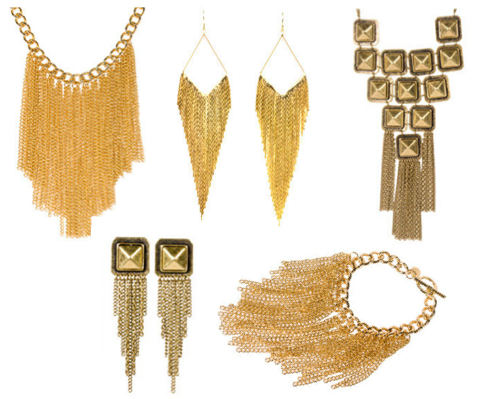 A little bit goes a long way with fringe, so its best to stick with one fringe piece. Adding too much is just tacky like jewellery, a handbag, and top all in the same ensemble. Even kids are rocking this trend! I love this trend cos of its vintage feel, very Gatsby-ish. I told y'all, I'm a 70's girl at heart! lol. 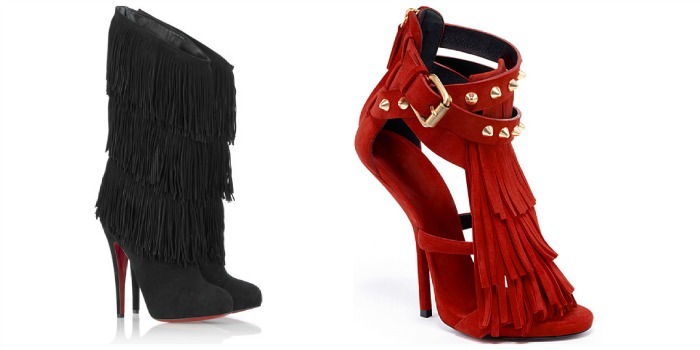 What fringed piece would you love to rock? Your are right it has made a huge come back. Those swim suit are the bomb. Of the topic, are you feeling that kim k's wedge ankle strap Porsh? Oh boy! I'm totally all in for fringe. Love the fringe bags. I am such a sucker for fringe, I always was and probably always will love fringes. Great selection dear! Lovely blog here btw! Would you like to follow each other on GFC? Please let me know on my blog so I can follow back. Thank you. Fringes are back!! I remember I used to have one brown fringe skirt way back. Hmmm. Nikky. i really love fringe, it's classic!